Not so long ago (1974), Greek Cypriots feared Turkey, and their Turkish Cypriot neighbors, and looked to Greece as their protecter. Now, Greek Cypriots are being forced to help bail out (or “bail in”) the bankrupt economy of Greece. They ain’t happy about it. via Bank of Cyprus executes depositor bail-in – Telegraph. Just amazing what runaway spending and government debt can accomplish. The CBO reviewed deficit projections for 10 years from now (FY2023), comparing their projections based on current law to the Dems’ and the GOP’s deficit reduction proposals. Even without delving into the projections themselves, I think you can see a serious issue with the Dems’ plan. Yeah – the part where the Dems barely reduce the deficit? That’s a problem for me. The current law projection says we’ll have a deficit of 3.8% of GDP in 2023. The Democrats say that their bold plan will reduce that deficit to a mere 2.2% of GDP. Thanks for nothing, guys. Meanwhile the GOP is trying to achieve a balanced budget by 2023. You can argue about whether their plan is realistic, but you can’t argue about their goal – at least they’re trying to make a serious impact on our budget problems. 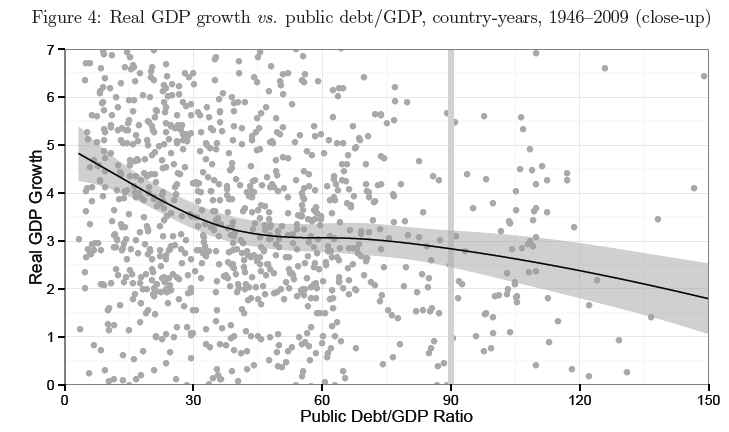 I’m sure you all remember the paper by a pair of Harvard University professors saying that a public debt level of 90% of GDP would significantly suppress GDP growth. Well, a team from UMass/Amherst has pointed out that Reinhart and Rogoff made mistakes in their analysis, excluding data from several countries. This has caused quite a stir, with the Keynesians on the warpath, trying to turn this into a green light for more spending. Not exactly news to the readers here, but nice to see the word getting out. The California Assembly passed a bill on Thursday that would make the state the first in the nation to allow non-citizens who are in the country legally to serve on jury duty. No correlation between being a citizen and a juror? How about the part where they understand and are committed to our system of justice? Huh? The part where they swear to “Support and defend the Constitution and laws of the United States against all enemies, foreign and domestic?” How about that? Seems to me that putting non-citizens on juries is essentially outsourcing justice. And the end result isn’t likely to look anything like American justice. Posted by Retired Geezer in Heroes, Love. There’s a special place in hell for you. …the FBI said it put Toth on [the Most Wanted List] because there were no reliable clues as to his whereabouts and because his Internet skills and alleged penchant for grooming children made him especially dangerous. Yes, they’ve finally noticed that giving people strong incentives not to work means that they stop working.